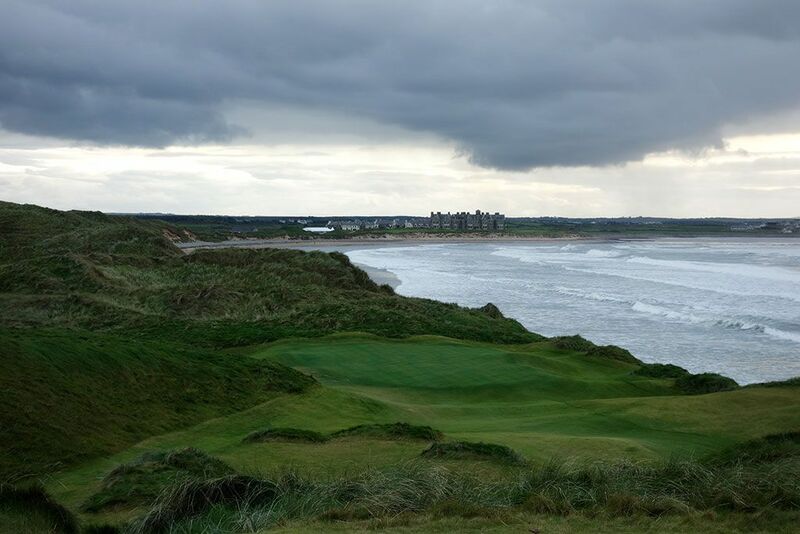 Course Website: Official Website - Visit Trump International Golf Links Doonbeg's official website by clicking on the link provided. Accolades: Ranked 15th in Ireland by Golf Course Gurus. What to Expect: Greg Norman must have been salivating when given the opportunity to build a course on this beautiful piece of property. 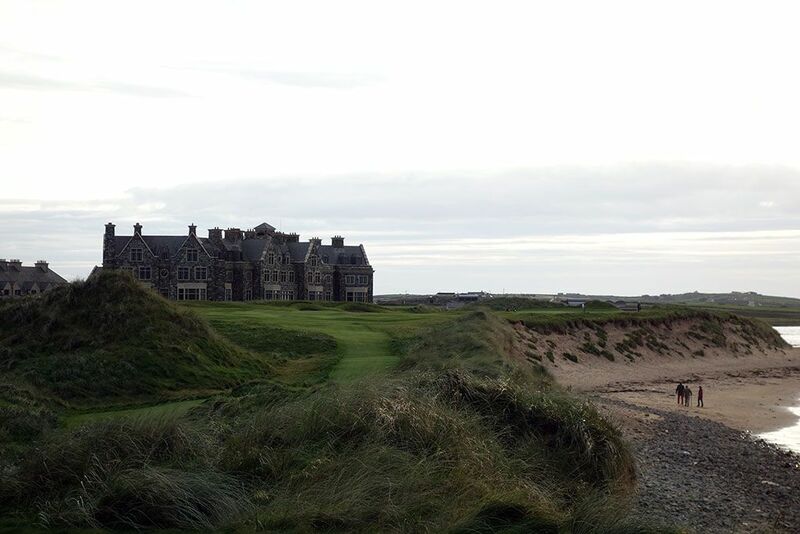 With coastal frontage, sandy dunes, and wonderful undulations, Doonbeg's land was a dream come true for any course architect. Unfortunately, Norman also must have felt a decent amount of frustration when dealing with the restrictions put on the land and in particular the use of some of the dunes. 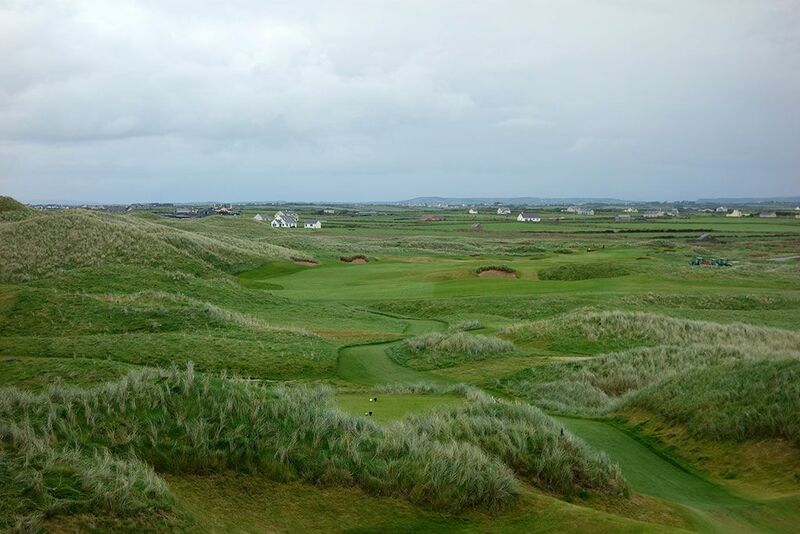 Despite all of that, the opening hole at Doonbeg is one of the best in Ireland with a green site resting in an amphitheater of grass covered dunes. 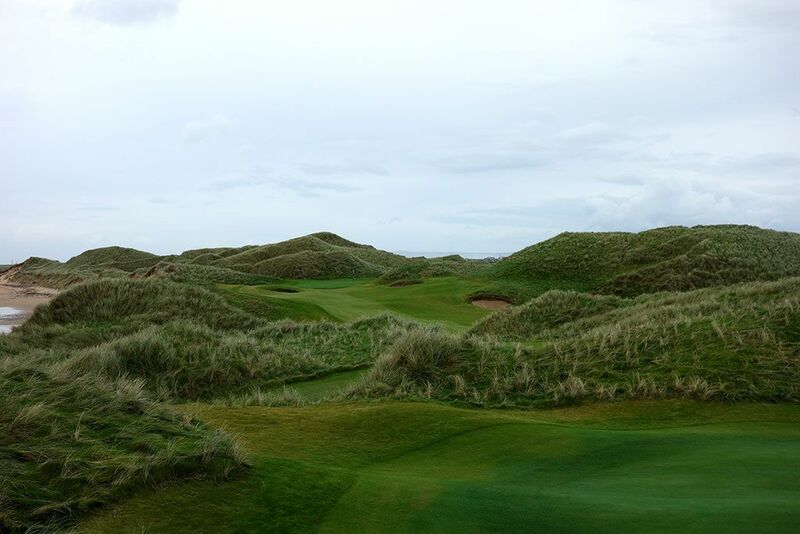 The course enjoys some attractive coastal holes, a couple of nice holes in the dunes, and a great collection of par threes, but there are also a handful of uninspiring holes, particularly those through the flat land. From the back tees the course is an absolute bear with virtually no forgiveness outside the fairways due to the marram grass that makes finding your ball difficult and playing it nearly impossible, thus lost balls can quickly become a commonplace if the wind is up or your swing isn't grooved. The fairways are kept in good condition and the greens should continue to improve as they mature over time, but winter conditions will help dictate the season's conditioning standard. 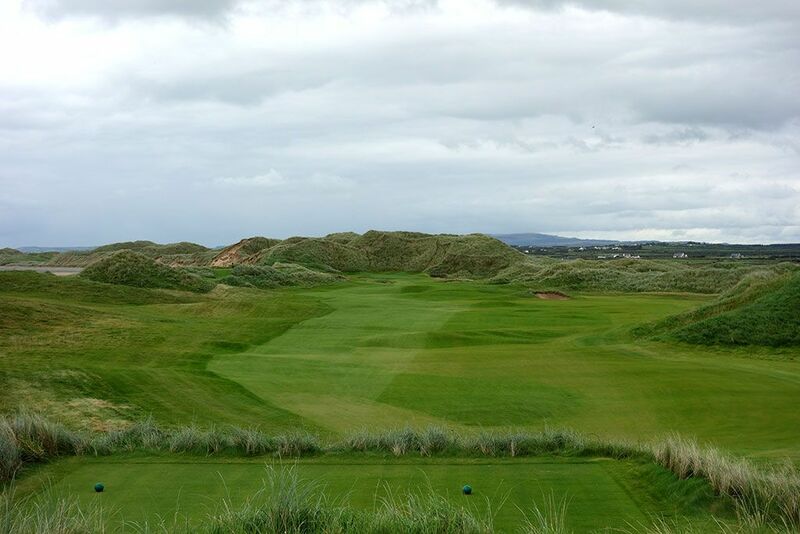 Carts/buggies are available for players wanting to ride, but Trump Doonbeg is a great walk to enjoy with a trolley or the clubs on your back if you are fit enough to handle it. Signature Hole: 18th Hole – 432 Yard Par 4 – Like the famous closing hole at Pebble Beach, Greg Norman preserved the longest stretch of coastal property for the 18th at Doonbeg. This moderate length par four initially bends right before curling back left as your approach the green. A sandy beach sits some 10-15 feet below the fairway and is the only thing between you and the Atlantic Ocean on this picturesque hole. Drives from the back tee that finish under 300 yards will avoid the two fairway bunkers on the left side of the hole, but moving one tee box up places those bunkers within reach on a 260 yard poke. Standing on this green with the palatial clubhouse and facilities behind you and miles of ocean in front is one of the more impressive settings in Ireland. Best Par 3: 14th Hole – 138 Yards – The most scenic hole on the course, you might miss the 14th when playing in the winter as it is occasionally closed in favor of an alternate routing. This bunkerless beauty plays from an elevated tee to a green 15 feet below that is framed by dunes on the left and rear while the right side boasts the ocean. This should be a relatively easy hole to play, but so is the 7th at Pebble Beach when the wind isn't blowing. This seaside one-shotter is one of southwest Ireland's best. Best Par 4: 6th Hole – 365 Yards – Another coastal offering, the shortish 6th hole plays over a marram grass covered dune to a fairway that hugs the coastline and follows it as it bends slightly left. The rolling fairway creates some interesting lies while the two bunkers that appear to be greenside are actually 35 yards short of the putting surface's front edge. 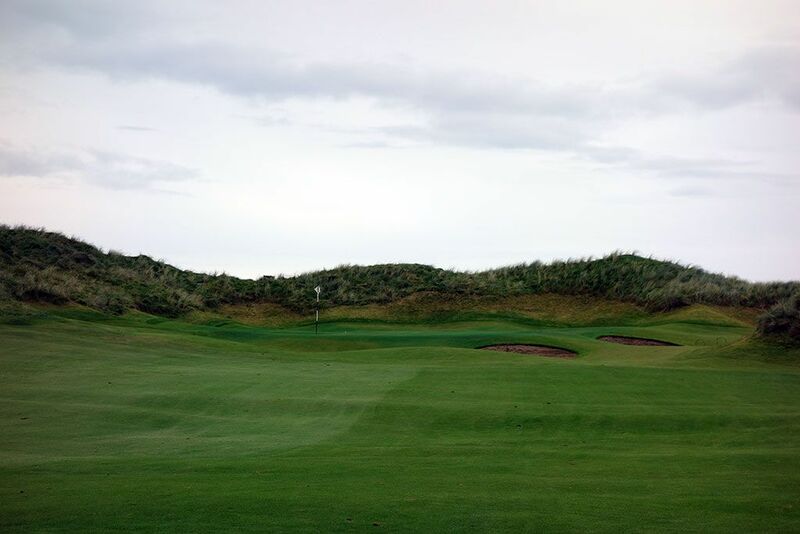 The undulated green sits in dune amphitheatre perfectly situated for a putting site. Best Par 5: 1st Hole – 561 Yards – Greg Norman wasted no time introducing players to the dramatic terrain found at Doonbeg with this opening hole that plays to one of the best greensites in Ireland. An octet of bunkers are found within 50 yards of the green while the towering dunes creating an amphitheatre effect around the putting surface that is truly something to behold. In addition to the dunes, players enjoy views of the ocean as the 1st hole plays northeasterly and parallel to the 18th. Birdie Time: 3rd Hole – 338 Yard Par 4 – Trump Doonbeg offers three shorter par fours in a four hole stretch with the 3rd being the first and easiest of that group. Though there are several bunkers to contend with, this short uphill two-shotter is plenty vulnerable and features a greensite surrounded by dunes on the sides and back. When you have a tailwind there is fair chance at driving this green and potentially taking a couple of strokes from Old Man Par. As a side note, if you don't capitalize on a birdie here the the short par five 13th will give you another chance at redemption. Bogey Beware: 4th Hole – 659 Yard Par 5 – After playing the easiest hole on the course, Doonbeg punches back with its most difficult offering. At a brutal 659 yards from the tips and sitting at sea level, the 4th is a bear of a hole to tackle and boasts a baker's dozen bunkers along the way. In a hell's half acre like offering, a nearly 50 yard patch of undulated rough consumes the fairway 240 yards from the front edge of the green and must be carried on the way to the putting surface. Though the hole plays slightly downhill from tee to green, you aren't reaching this green in two and whenever you have that much yardage to cover there is a decent chance something could go wrong along the way.